Various characters flocking to the House of Mouse. Disney’s House of Mouse was the new and improved version of Mickey Mouse Works. Developed by Roberts Gannaway and Tony Craig, the series was comprised of a collection of shorts like the previous show, however this time they were unified by being exhibited in a club, The House of Mouse, run by Mickey Mouse (Wayne Allwine). The House of Mouse was a trendy club frequented by characters from throughout the entire Disney library of film, shorts and comic characters (excluding live-action and CGI properties, although references and brief cameos were worked in for those). The staff takes a rare break: Mickey, Clarabelle, Donald, Daisy, Horace, Minnie, Goofy and Pluto. Working with Mickey in the club was Minnie (Russi Taylor) as the club’s show planner and bookkeeper; Donald Duck (Tony Anselmo) as the deputy manager in charge of overall customer service; Daisy Duck (Tress MacNeille) as the reservation clerk; Goofy (Bill Farmer) as the head waiter; Pluto (Farmer) as Mickey and Minnie’s personal assistant, as well as the club’s mascot; Horace Horsecollar (Farmer) as the technical engineer; Clarabelle Cow (April Winchell) as the gossip monger who shared everyone’s secrets; Max Goof (Jason Marsden, reprising his role from the Goofy films) as the parking valet; Huey, Dewey and Louie (all Anselmo) as the house band usually employing different styles under different parody names (The Quackstreet Boys, Quackwork, Kid Duck, The Splashing Pumpkins); Gus Goose (Frank Welker) as the head chef who tended to indulge in as much as he made; Magic Mirror (Tony Jay) as the club’s on-site consultant who provided information and advice; and Mike (Rod Roddy), a talking microphone who served as the club’s announcer. Rounding out the staff were Penguin waiters (from Mary Poppins) and Magic Brooms (from Fantasia) as the custodial crew. The crew confronts Pete and his latest scheme to shut them down. Part of the entertainment at the club was the showcasing of the shorts. Employed were all but two of the shorts from Mouse Works, including a couple that never aired there, several classic shorts from the 40s and 50s (either in full or edited down for time), and a few all-new shorts created for the show. Framing their presentation were the adventures of Mickey and his friends as they ran into difficulties during the operation of the club, especially when those difficulties were caused by the club’s landlord, Pete (Jim Cummings), in an attempt to put it out of business. A running gag was that the Alley Cats from The Aristocats were always scheduled to be musical guests, but their act always ended up cancelled. Another running gag was the sponsorship of a particular episode by a fake Disney-related sponsor, such as “Long-term storage facilities for the House of Mouse have been provided by: Cave of Wonders”. Notably, the show was the final appearance of Pepper Ann and her mother (Winchell) from Pepper Ann, who had a cameo in the first episode. They were the only Walt Disney Television Animation characters to be featured on the show. 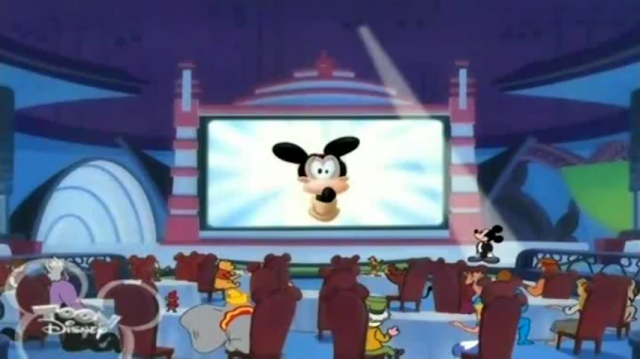 Mickey introduces the next cartoon to the audience. Disney’s House of Mouse debuted on ABC on January 13, 2001, the year of Walt Disney’s 100th birthday. It aired as part of the final season of Disney’s One Saturday Morning programming block before being dropped after the first two seasons aired. For its third season, it was moved to Toon Disney where it was shown sporadically, beginning with a nine-hour marathon. The series’ theme, “Rockin’ at the House of Mouse”, was composed and performed by Brian Setzer, with Stephen James Taylor providing the rest of the show’s music. The show was written by Gannaway, Kevin Campbell, Thomas Hart, Elizabeth Stonecipher, Henry Gilroy, Tracy Berna, Jess Winfield, Neil Alsip, Phil Walsh, Kevin Hopps, Jymn Magon, Rick Calabash, Mike Fontanelli, Bill Kopp, John Ludin, Jim Peterson, Steve Roberts, Randy Rogel, Cameron Selwood, Jan Strnad, Brian Swenlin and Gregg Taylor. It was animated by Toon City Animation, Inc. and rendered in a widescreen format (except for the classic shorts, which were shown in their original aspect ratios). 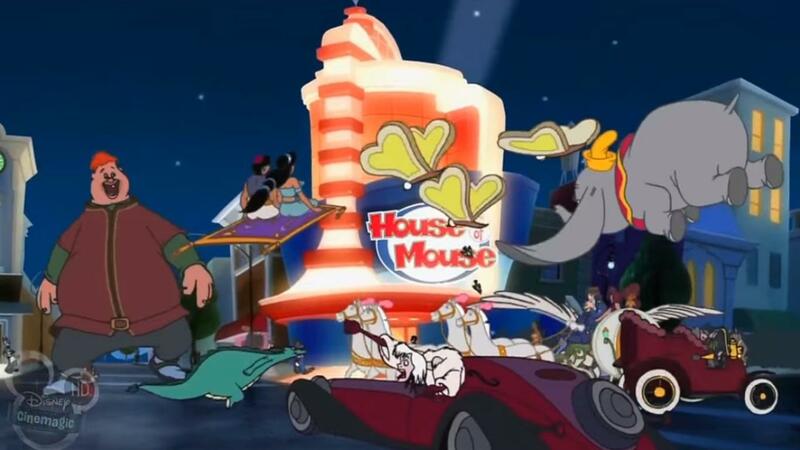 House of Mouse aired in reruns on Disney Channel until 2006, and stayed on Toon Disney until it became Disney XD in 2009, marking the last time it was seen in United States broadcasts. During the show’s run, it was nominated for two Annie Awards, winning one, a Daytime Emmy Award that it won, and a Motion Picture Sound Editors award. Two direct-to-video movies were released spinning out of the show: Mickey’s Magical Christmas: Snowed in at the House of Mouse, and Mickey’s House of Villains. The first dealt with the gang trying to keep the Christmas spirit alive while being stuck in the club, while the second had Jafar (Jonathan Freeman) leading a group of villains to take over the club for themselves. As with the show, both aired a combination of classic and more-recent shorts tying into the themes. 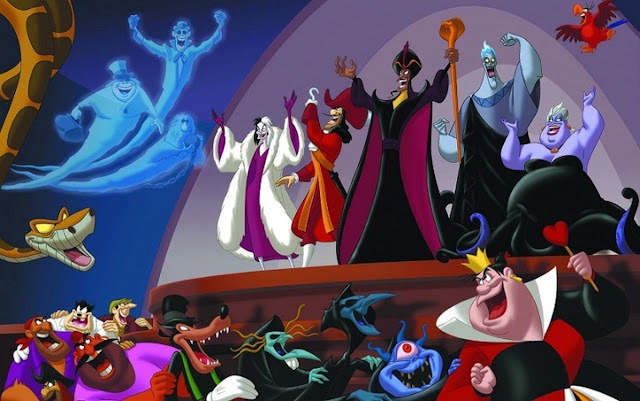 Magical Christmas utilized scenes from House of Mouse episodes that had not yet aired, and parts of Villains were later reused for “House Ghosts”. Mickey catches Pete in a Kanga disguise. Only the first episode of the series was released in its entirely as a bonus feature of Magical Christmas. Several of the shorts exclusive to House of Mouse and others from Mouse Works were made available in Europe on the DVD Mickey’s Laugh Factory in 2005. Another collection of 10 Donald Duck-based shorts from both shows were included as bonus features on The Chronological Donald, Volume 4 in 2008. “Big Bad Wolf Daddy / Donald’s Charmed Date / Pluto gets the Paper: Mortimer* / How to be Groovy, Cool and Fly” (1/27/01) – Donald hires the Big Bad Wolf and the Three Little Pigs to perform at the club. / Donald’s date with Daisy is fraught with bad luck. / Mortimer tries to steal Mickey’s paper. / Goofy tries to keep up with the times. “The Three Caballeros / Donald’s Fish Fry* / How to be Smart” (2/3/01) – When people forget he’s a Caballero, Donald takes steps to make himself more memorable. / Humphrey goes to get a big fish for the winter and ends up taking the one Donald just caught. / After losing a gameshow, Goofy tries to increase his intelligence. “Goofy’s Valentine Date / Donald’s Valentine Dollar* / Mickey to the Rescue: Staircase* / Pluto’s Arrow Error*” (2/10/01) – Minnie and Daisy set Goofy up on a blind date. / The only dollar Donald has for Daisy’s gift gets blown away. / Mickey has to traverse a dangerous stairway to rescue Minnie. / Pluto plans to use Cupid’s arrows to win back Dinah. “Unplugged Club / Music Store Donald / Mickey’s Cabin*” (2/17/01) – Pete sabotages the club’s electricity. / Co-workers Pete and Donald compete to make the next sale in order to keep their jobs. / Mickey ends up trapped with Pete and Zeke after they stole an ATM. “Timon and Pumbaa / Pluto’s Magic Paws* / Mickey to the Rescue: Cage and Cannons* / Golf Nut Donald” (3/3/01) – Timon and Pumbaa split after arguing about their act. / Mickey accidentally gets magic gloves from the drycleaner. / Mickey must rescue Mnnie from Pete’s funhouse. / Chip and Dale complicate Donald’s desire to win the big trophy at his golf club. “Gone Goofy / Pit Crew / Goofy’s Extreme Sports: Shark Feeding* / Donald’s Goofy World” (3/10/01) – Budget problems leads Donald to try and get Goofy fired as head waiter. / Mickey, Donald and Goofy serve as Pete’s pit crew…if they can ever get to the track. / Goofy heads out to feed the sharks. / Donald’s annoyance over Goofy’s goofiness leads to him having a dream where everyone is Goofy. “Jiminy Cricket / Mickey’s Mistake* / Daisy’s Road Trip*” (3/10/01) – Mickey tries to repair the rift between Jiminy and Pinocchio, but Jiminy ends up becoming his conscience instead. / Mickey uses money he found to buy Minnie a gift, only to discover that money belonged to the orphans. / Daisy invites herself on Mickey and Minnie’s quiet sunset drive. “Rent Day / Mickey’s Mountain* / Maestro Minnie: Circus Symphony / Big House Mickey” (3/17/01) – Mickey unwittingly spends the rent money on cheese. / Mickey races Pete up a mountain to win the rights to name it after Minnie. / Minnie’s instruments act like a group of circus animals. 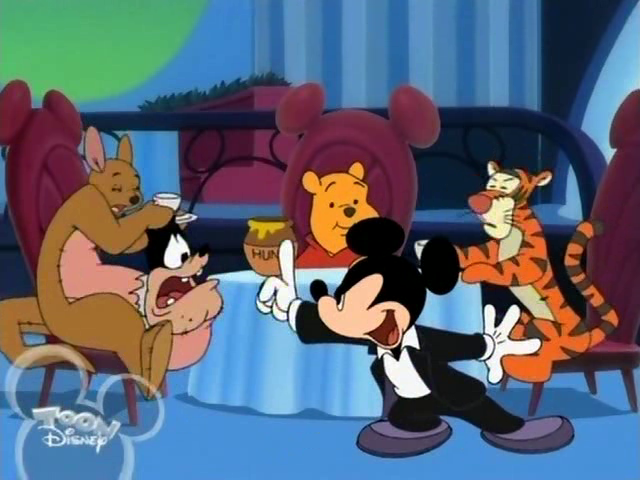 / Mortimer frames Mickey for burglary in order to get him locked up and kept away from his date with Minnie. “Donald’s Lamp Trade / Survival of the Woodchucks* / Goofy’s Radio*” (3/24/01) – Jafar offers to make Donald the club’s owner in exchange for Aladdin’s lamp. / Donald’s nephews discover he never finished a required Junior Woodchuck survival course. / Goofy decides to relax in the park with a radio. “Donald’s Pumbaa Prank / Mickey’s April Fools / Whitewater Donald*” (3/31/01) – Mickey plays a prank on Donald and Pete encourages Donald to retaliate. / Mickey engages in a war of pranks with Mortimer on April Fool’s Day. / Daisy thinks Donald is taking her on a romantic date when he’s actually taking her fishing. “Thanks to Minnie / Minnie Visits Daisy* / Mickey’s Big Break*” (4/7/01) – A rumor causes Minnie to feel unappreciated and quit her job. / Minnie brings a pie to Daisy but can’t seem to get her attention. / Mickey and Donald have to replace a picture they broke while playing football indoors. “Pluto Saves the Day / Goofy’s Big Kitty* / Pluto’s Kittens*” (4/14/01) – Pete uses magic sleeping apples to put everyone in the club to sleep. / Goofy gets a new kitty at the same time a lion escapes from the zoo. / Pluto rescues three abandoned kittens and tries to hide them from Mickey. “Disney’s Debut / Daisy’s Big Sale / Topsy Turvy Town*” (9/22/01) – Minnie feels left out when Daisy gets to perform a duet with Mickey. / Daisy gets Minnie to help her with her new hair bow business. / Mickey and Minnie accidentally break Topsy Turvy Town’s strange laws and end up imprisoned. “Goofy for a Day / How to be a Waiter* / Maestro Minnie: Hungarian Rhapsody No. 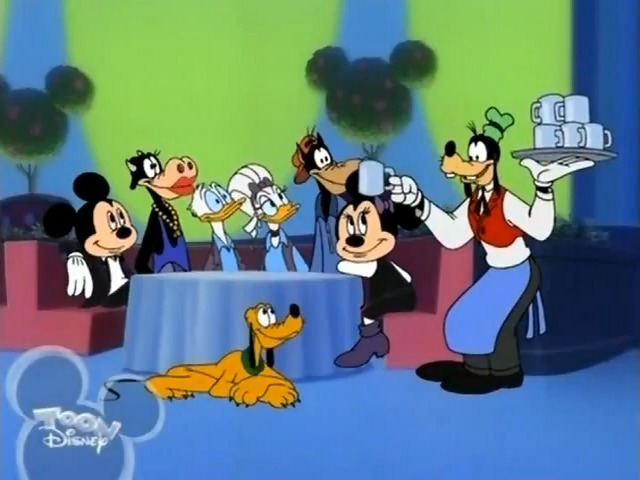 6* / Donald’s Dinner Date*” (9/29/01) – Goofy challenges Max to do his job when Max doubts its importance. / Tired of being a waiter, Goofy sets out to become a film star. / Minnie and the instruments disagree over the kind of music they want to play. / Donald has to hold his temper on his date with Daisy. “Clarabelle’s Big Secret / How to be a Spy* / Double Date Don” (10/6/01) – When everyone tells Clarabelle they’re tired of her old gossip, she promises to reveal something big about someone. / Goofy gets a mail-order spy kit to find out what his neighbors are up to. / Donald just wants to build Daisy a wall, but Clara Cluck wants Donald. “The Mouse Who Came to Dinner / Mickey’s Mix-Up* / Maestro Minnie: Flight of the Bumble Bee* / Donald’s Grizzly Guest*” (10/13/01) – The gang mistakes Mortimer for an important restaurant critic. / Mickey sends faxes to Minnie and Mortimer but is afraid he got them mixed up. / Minnie’s orchestrations are interrupted by a bumblebee. “Max’s New Car / Mickey’s New Car* / Car Washers* / Motor Mania^” (11/3/01) – Max is told he’s not ready for his own car, so he takes a living one from one of the cartoons. / Mickey’s new car is too advanced for his own good. / Mickey, Donald and Goofy’s first customer is Pete, whose car goes through a destructive washing machine. / Everyman Goofy becomes a maniac when he gets behind the wheel. “Not So Goofy / Roller Coaster Painters* / Goofy’s Extreme Sports: Wakeboarding* / How to Wash Dishes*” (11/10/01) – The gang tries to teach Goofy to be more graceful. / Mickey, Donald and Goofy compete to paint the most of a rollercoaster for a free lifetime pass to the park. / Goofy wipes out as he tries some wakeboard stunts. / Goofy goes traveling and makes liberal use of his credit card. “Everybody Loves Mickey / Mickey’s Rival Returns* / Mickey to the Rescue: Train Tracks* / Donald’s Failed Fourth*” (11/17/01) – Donald’s jealousy of Mickey leads him to become allies with Mortimer. / Mickey’s good day is ruined by the appearance of Mortimer Mouse. / Mickey must rescue Minnie from an approaching train. / Donald finds difficulty in setting up for a romantic fireworks viewing with Daisy. “Max’s Embarrassing Date / Pluto’s Penthouse Sweet* / How to Ride a Bicycle*” (1/19/02) – Everyone at the club tries to help Max’s date with Roxanne go well by keeping Goofy away. / A lonely Pluto sets his sights on a dog that resides in a skyscraper penthouse. / Goofy learns how to ride a bike to feed his desire to compete. “Where’s Minnie? / Mickey and the Color Caper / Donald’s Pool*” (1/26/02) – When Minnie goes to find a present for Mickey, everyone believes she’s disappeared and starts searching for her. / The Phantom Blot seeks to steal the world’s color to become The Phantom Rainbow. / Donald’s relaxing day at the pool is interrupted by Mrs. Turtle and Shelby. “Super Goof / How to Take Care of Your Yard* / Locksmiths*” (2/2/02) – Contaminated peanuts turn Goofy into a superhero just in time to save the club from a meteor. / Goofy learns yard care for every season. / Mickey, Donald and Goofy are bumbling locksmiths. “King Larry Swings In / Mickey and the Seal^ / Goofy’s Extreme Sports: Paracycling* / How to be a Gentleman*” (2/16/02) – King Larry visits the club and ends up causing a mess. / After a visit to the zoo, a little seal follows Mickey home by hiding in his picnic basket. / Goofy demonstrates paracycling off of a cliff. / Goofy learns manners in order to join a ritzy country club. “Ladies’ Night / Purple Pluto* / Daisy Bothers Minnie* / Maestro Minnie: William Tell Overture*” (2/23/02) – The ladies are put in charge of the club for a night, and Mortimer tries to convince the guys that they’re doing a poor job. / While prepping Pluto for a dog show Minnie accidentally dyes him purple. / Minnie’s quiet evening is interrupted when Daisy wants to hang out. / Minnie’s orchestral duties are put on hold due to a runaway trumpet. “Dennis the Duck / The Whoopee Party^ / Pioneer Days^ / Mickey and the Goat Man” (5/18/02) – Black and White Day at the club finds Dennis the duck trying to win over Donald, who finds him annoying. / Mickey and Minnie throw a party for all of their friends. / Mickey and Minnie are captured by Indians until Minnie escapes and rescues him. / Mickey, Minnie and Mortimer are kidnapped by the mysterious Goat Man. “Suddenly Hades / Donald’s Pool* / Donald’s Lighthouse*” (9/2/02) – Pete breaks the club’s A/C, running off all the guests except Hades. / Donald’s relaxing day at the pool is interrupted by Mrs. Turtle and Shelby. / Donald attempts to get rid of a stubborn pelican. “Pete’s One-Man Show / Pinball Mickey / Von Drake’s House of Genius: Time Reverser* / Housesitters” (9/2/02) – Pete agrees to be nicer if Mickey lets him perform, however nobody comes to his show. / Mickey gets so into a pinball game his imagination begins to make it seem real. / Von Drake’s time machine ends up landing him in some trouble. / While housesitting at a farm, Mickey, Donald and Goofy get into a fight with Pete over the use of the outhouse. “House of Crime / Mickey Foils the Phantom Blot* / Von Drake’s House of Genius: Teledinger*” (9/2/02) – Mickey investigates a rash of thefts and disappearances at the club. / Von Drake’s mysterious package is stolen from Mickey, Donald and Goofy by the Phantom Blot. / Von Drake unwittingly invents…the telephone? “Mickey and Minnie’s Big Vacation / Around the World in 80 Days* / Donald’s Dynamite: Fishing*” (9/2/02) – Mickey and Minnie head off on vacation, leaving Donald and Daisy in charge. / Mickey has to travel around the world in 80 days to get his inheritance and save an orphanage. / While fishing, Donald reels in a bomb. “Donald and the Aracuan Bird / Pluto vs. the Watchdog* / Bird Brained Donald*” (9/2/02) – Donald isn’t too happy about the Aracuan bird being the club’s special guest. / Mickey gets a new watchdog, which plays perfectly into Pete’s plans. / Donald attempts to get a picture of the Aracuan Bird. “Goofy’s Menu Magic / Sandwich Makers* / Mickey Tries to Cook* / Pluto Gets the Paper: Bubble Gum*” (9/2/02) – Goofy’s covering for Gus is a disaster until he finds the Fairy Godmother’s wand amongst the dirty dishes. / Goofy’s management of a sandwich shop makes him mad with power. / Mickey tries to cook to win back Minnie’s affections. / Pluto battles with a piece of gum for the newspaper. “Music Day / Symphony Hour^ / Goofy’s Extreme Sports: Skating the Half Pipe* / How to be a Rock Star / Donald’s Rocket Ruckus*” (9/2/02) – Mickey, Donald and Goofy try to reunite Huey, Dewey and Louie in time for their band’s performance at the club. / Goofy drops the orchestra’s instruments down an elevator shaft just before their performance. / Goofy tries to become a rock star. / Donald tries to prevent his nephews from riding the best ride at the park. “House of Scrooge / A Midsummer Night’s Dream* / Von Drake’s House of Genius: Money Increaser*” (9/2/02) – Scrooge buys the club and begins making changes to increase its profit. / The mice and ducks deal with mismatched lovers and a love potion. / Von Drake’s new invention was meant to quell poverty, but ends up getting him busted. “Donald Wants to Fly / Mickey’s Airplane Kit* / Mickey and the Seagull*” (9/2/02) – Various characters attempt to help Donald achieve his dream of flying. / Mickey rushes to assemble his airplane kit for his date with Minnie. / Mickey is assigned a replacement seagull after his regular one is injured. “Dining Goofy / Answering Service* / Von Drake’s House of Genius: Remote Controlled Laser Lawnmower* / computer.don*” (9/2/02) – Goofy attempts to help the other staff when technologically-advanced penguins take over his duties. / Mickey, Donald and Goofy start a telephone answering service. / Von Drake’s latest invention goes out of control. “Chip ‘n’ Dale / Up a Tree^ / Goofy’s Extreme Sports: Rock Climbing* / Two Chips and a Miss^” (9/2/02) – Donald tries to keep Chip and Dale from stealing all the club’s nuts but gets blamed for the theft himself. / Chip and Dale try to save their tree home from lumberjack Donald. / Goofy’s goofiness adds a challenge to rock climbing. / Chip and Dale both unknowingly have a date with the same girl. “Humphrey in the House / Hot Tub Humphrey / Beezy Bear^” (9/2/02) – When the club covers the Magic Brooms’ vacation with the Brownstone Park Bears, Humphrey helps himself to their food. / With the river too cold for a bath, Humphrey plots to get into Ranger Woodlore’s hot tub. / Humphrey keeps going after Donald’s honeycombs. “Ask Von Drake / Hydrosquirter* / Relaxing with Von Drake*” (9/2/02) – Mickey tries to prove Von Drake wrong when he claims to know everything. / Fixing his shower leads Von Drake to accidentally make it a teleporter. / Von Drake uses Donald to demonstrate various methods of stress management. “Salute to Sports / How to Be a Baseball Fan* / Goofy Gymnastics^” (9/2/02) – Goofy fudges the national anthem while Donald tries to keep his temper in check and prove he’s a good sport. / Goofy takes a break from sports to be a fan. / Tired of being tired, Goofy decides to buy a home gym and get fit. “Pluto vs. Figaro / Pluto Runs Away* / Donald and the Big Nut* / Pluto Gets the Paper: Street Cleaner*” (9/2/02) – Minnie hires Figaro to take some of the workload off of Pluto and it doesn’t end well. / Pluto runs away after Mickey disciplines him for digging up the yard. / Donald has to defend his giant nut from Chip and Dale so that he can enter it into competitions. / Fetching the newspaper leads Pluto to be sucked up by a street cleaner. “House of Magic / Presto Pluto* / Donald’s Dynamite: Bowling Alley* / Babysitters” (9/2/02) – When Daisy’s magic act makes EVERYTHING disappear, Mickey is forced to turn to Jafar to get it all back. / Pluto swallows a magic wand while competing for Dinah’s affections. / Donald’s bowling ball ends up being a bomb. / Mickey, Donald and Goofy are tasked by the sick Mother Time to take care of Baby New Year…once they find him. “Mickey vs. Shelby / Donald’s Shell Shots* / Domesticated Donald*” (9/2/02) – Mickey babysits Shelby and discovers what a handful he is. / Donald is hired to take a photo of the uncooperative turtle, Shelby. / Donald has to babysit Shelby. “House of Turkey / Turkey Catchers* / Mickey’s Mixed Nuts*” (9/2/03) – Everyone eagerly awaits Mr. Turkey’s arrival as the literal dinner guest. / Mickey, Donald and Goofy start a turkey catching business but end up befriending their prey. / Mickey competes with Chip and Dale to get a store’s last batch of nuts. “Pete’s Christmas Caper / The Nutcracker* / Donald’s Dynamite: Snowman*” (12/2/02) – Pete volunteers to play Santa at the party in order to steal all the gifts. / Minnie’s nutcracker doll turns into a handsome prince in order to rescue her from the Mouse King. / Donald discovers his snowman’s head is a bomb. “Clarabelle’s Christmas List / Donald on Ice* / Mickey’s Christmas Crisis*” (12/2/02) – Clarabelle gets her hands onto Santa’s list and adds anyone who tries to look at it to the “naughty” side. / Donald accidentally destroys the snowman his nephews were building for a contest. / Mickey and Mortimer compete for a house decorating contest. “Snow Day / Pluto’s Seal Deal* / Mickey’s Remedy* / Donald’s Dynamite: Snowman*” (12/14/02) – Salty the Seal is the only guest at the club during a raging snowstorm. / Pluto must guard Mickey’s package, which mistakenly ends up being a live seal. / Donald lets Mickey try watching his nephews. / Donald discovers his snowman’s head is a bomb. 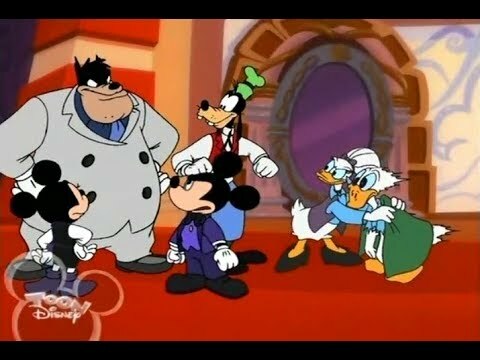 “Pete’s House of Villains / Li’l Bad Wolf / Donald’s Dynamite: Opera Box* / Organ Donors*” (3/2/03) – Mickey lets Pete and other villains run the club to show them how difficult it really is. / Big Bad Wolf tries to teach his son how to catch pigs. / A night at the opera is interrupted when Donald finds a bomb in Daisy’s purse. / Mickey, Donald and Goofy’s organ delivery ends up becoming far too literal for their liking. “Halloween With Hades / How to Camp / Donald’s Halloween Scare*” (10/3/03) – Mickey tries to help Hades and Maleficent come together. / Goofy’s adventure in camping leads to his being abducted by aliens. / When Donald scares his nephews to get their candy, they plot their revenge. “House Ghosts / Hansel and Gretel* / Pluto Gets the Paper: Spaceship* / How to Haunt a House*” (10/10/03) – Donald sets out to win the costume contest while Pete unleashes ghosts on the club to scare everyone off. / Mickey and Minnie encounter an old witch in the woods. / Fetching the paper leads Pluto to be abducted by aliens. / Goofy plays a ghost tasked with scaring Donald. “House of Genius / Futuremania / Mickey’s Mechanical House*” (10/17/03) – Von Drake replaces the staff with more efficient robotic versions. / Von Drake invites Mickey, Donald and Goofy to test out his new device that lets people see into the future. / Mickey buys a new house that can run itself. “Mickey and the Culture Clash / Mickey’s Piano Lesson* / Dance of the Goofys* / Maestro Minnie: Brahms’ Lullabye*” (10/24/03) – Mickey thinks Minnie wants a more sophisticated boyfriend. / Minnie signs herself and Mickey up for a piano recital that Mickey doesn’t believe he needs to practice for. / The head Goofy Fairy is captured by a young boy with ambitions to be a mad scientist. / Minnie dozes off while conducting her favorite lullaby. “Mickey’s Magical Christmas: Snowed in at the House of Mouse” (11/6/01) – The staff tries to get Donald into the Christmas spirit while they’re stuck at the club. “Mickey’s House of Villains” (9/3/02) – The villains take over the club.